Providing you the best range of welded wire mesh, welded mesh and welded wire mesh panel with effective & timely delivery. We hold expertise in manufacturing square or rectangular Welded Wire Mesh. These are manufactured using mild steel wire, stainless steel wire and gi wire to ensure these suit the fencing requirements of high security sites, schools and industrial parks. Our precision made wire meshes are welded at each intersection with the use of automatic welding machine. Owing to the use of strong raw material, our wire meshes can not be bend or cut easily. 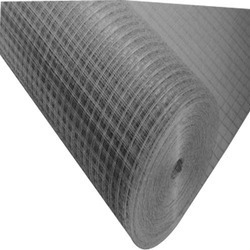 Hole Size (inch) 1" to 4"
We hold expertise in manufacturing square or rectangular Welded Mesh. These are manufactured using mild steel wire, stainless steel wire and gi wire to ensure these suit the fencing requirements of high security sites, schools and industrial parks. Our precision made wire meshes are welded at each intersection with the use of automatic welding machine. 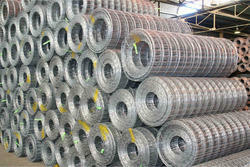 Owing to the use of strong raw material, our wire meshes can not be bend or cut easily. 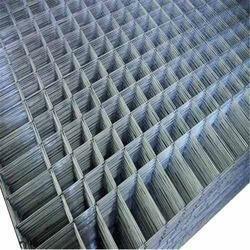 Mesh Size 1" to 5"
Welded Wire Mesh Panel We are actively engaged in offering Welded Wire Mesh Panel to the clients. Our offered Welded Wire Mesh Panel is precision engineered by employing advanced cutting-edge technology by our expert engineers. The entire range is available with us in various specifications. It is widely used in pharmaceutical industry, food industry, mining and chemical industries.